David has practiced law in Federal government agency enforcement positions and for over 30 years with Chicago, New York City and Washington, DC law firms representing domestic and international clients in complex litigation and sophisticated general corporate matters and commercial transactions. 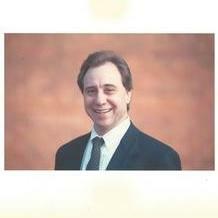 He has strong analytical, drafting and negotiation skills in general commercial agreements and digital technology contracts, software and SaaS license agreements, professional services and master services agreements, statements of work, network services agreements, media and digital content agreements, and other Internet-based transactions and… read more platforms. "My Attorney was spot on and very helpful. Took the guess work out of a lot of what I was doing. Would definitely commission him for services again!" "David is an outstanding attorney. He was fully engaged with us on a M&A deal that lasted for a few weeks. David helped us navigate through the complexity of the deal process, negotiated with the buyer's attorneys and guided us all through the process. Realizing the tough timelines, David made himself available on weekends, late nights and early mornings to accommodate the time zone differences." "David is an excellent attorney who understands the business context quickly and presents legal options. He ensures that the client understands the options and recommends the best solution. We will hire David in future for our legal needs." "David assisted me greatly in ensuring that an asset purchase agreement fully protected my interest. In fact, after the purchase, the tightly crafted agreement was important in ensuring that the seller honored all of his obligations including a substantial liability for past due personal property taxes that had not been paid and arose post-closing. David also has represented in me in several litigation matters, all with positive outcomes." "David reviewed a complex franchise agreement for me to fully explain the provisions and advise me on how best to proceed for two separate franchises. Later, he also advised me on the best way to terminate one of the agreements to minimize any potential dispute with the franchisor. He also reviewed two separate commercial leases for the separate franchise locations, made significant revisions to each and advised me on the rights and obligations of the parties to the leases. David was prompt, responsive and thorough in his work for me. I will always seek his legal advise - very highly recommended." •	Represented domestic and international corporate clients in complex civil, commercial and administrative litigation matters before federal and state courts and administrative agencies. •	Counseled clients in general corporate, intellectual property and commercial transactions.